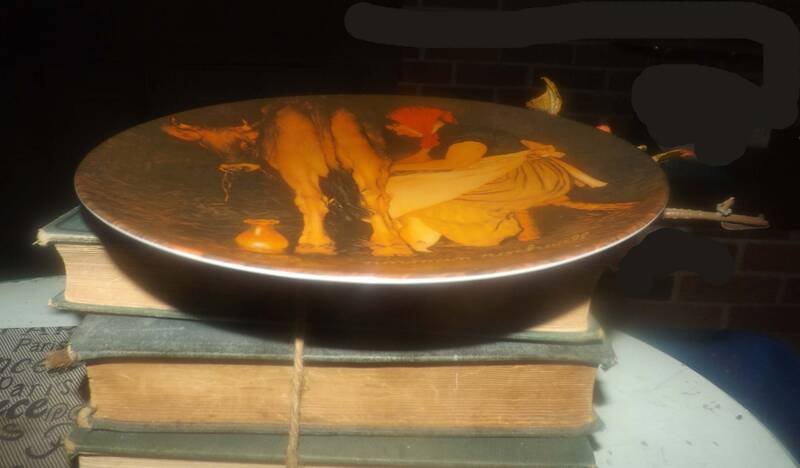 Vintage (1980) limited edition, numbered collector's plate. 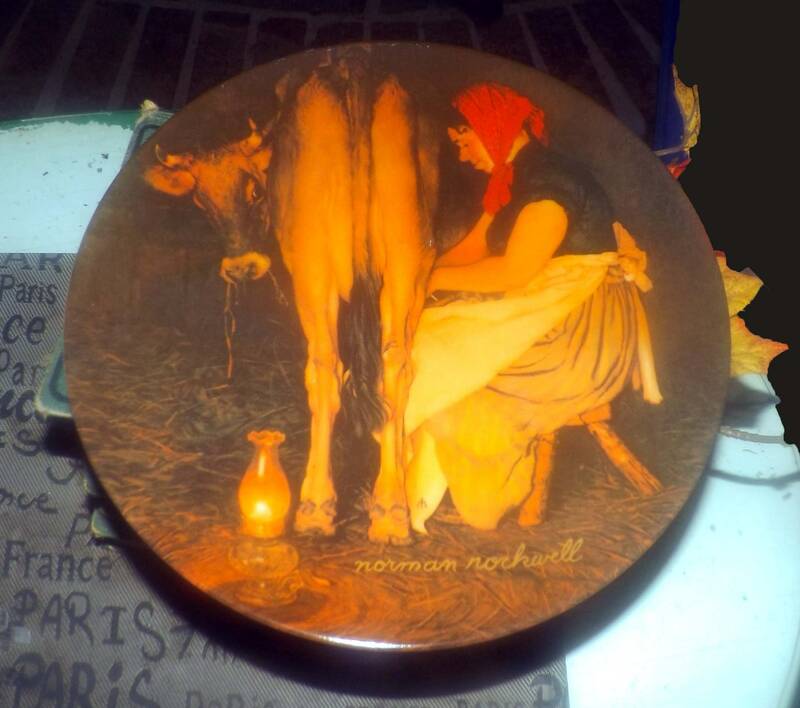 Rockwell's Mrs. O'Leary's Cow. Hoyle Products Brown & Bigelow Rockwell Series. 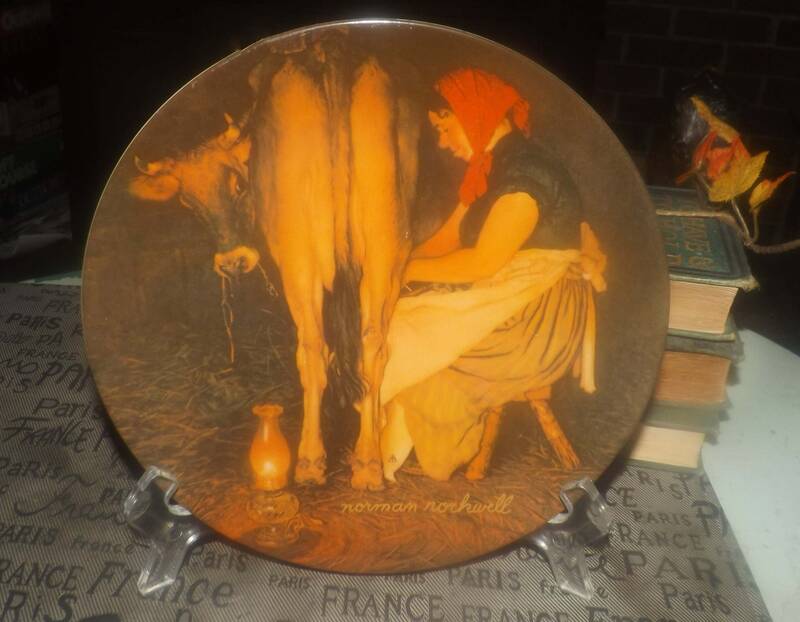 Vintage (1980) limited edition collector's plate entitled "Mrs. O'Leary's Cow." 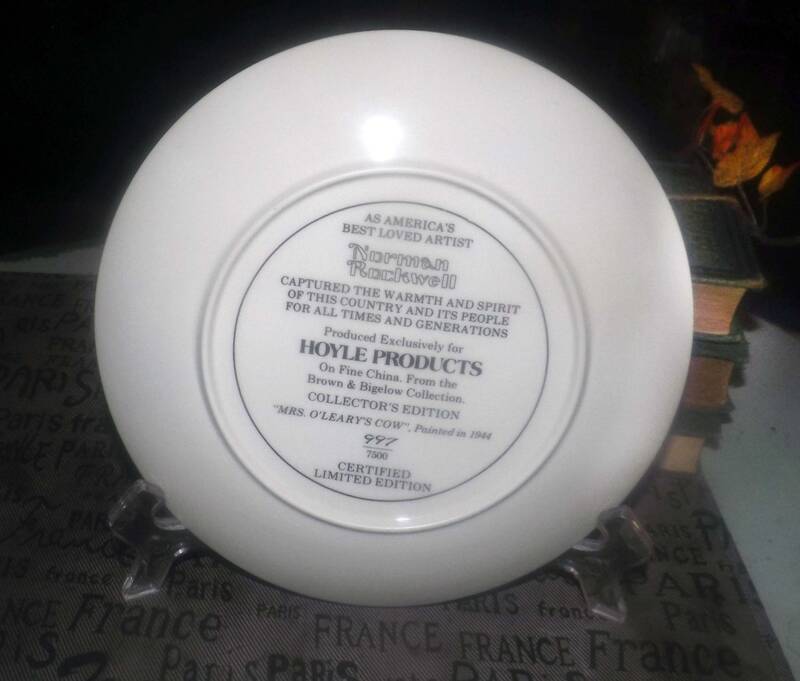 First in the Rockwell Series of plates produced for Hoyle Products from the Brown & Bigelow Collection. Plate has COA on back and is numbered 997 from a limited run of 7500. This plate is in EXCELLENT! condition with NO! chips, cracks, fleabites or crazing and NO! marks, stains, scratches or other signs of use or wear. The Rockwell imagery is fresh and vibrant with NO! fading. Approximate measurements: 9" in diameter (measured edge to edge across the front of the plate) with a coupe shape and smooth edge.